I feel moved to talk about this because I have encountered several critics making either one or the other following proposition about the ending of Nolan’s film: either (a) it is left ambiguous as to whether Bruce Wayne is still alive, or (b) it is not left ambiguous, but it should have been. Both of these propositions of course imply the innate superiority of an ‘open’ ending over a ‘happy’ one (a theoretical assumption that I’ve spent a significant portion of my adult life debating), and I disagree on both points. The most prominent critic I have heard make the first argument is Mark Kermode (in the final minutes of this episode of his podcast). 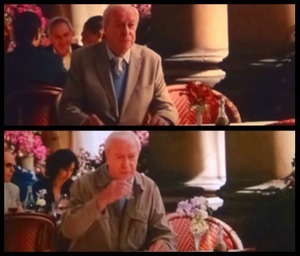 Kermode voices a familiar suggestion that the ending is ambiguous because there is a strong chance that the image we are shown of Bruce and Selina sitting at the café is merely a wish-fulfilling figment of Alfred’s imagination. The reason this might at first seem plausible, of course, is that Alfred has spoken earlier in the film about a recurring “fantasy” he experienced during the last time Bruce disappeared for an extended period of time, at which point we cut to an enactment of almost precisely this scenario playing out. To back up his point, Kermode compares the ending to that of Inception. 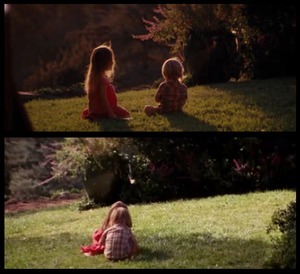 That ending, you will remember, leaves us pointedly unsure as to whether Cobb (Leonardo DiCaprio) is still dreaming in the final scene when he reunites with his children. Clearly, Nolan too is interested in creating at least a hint that The Dark Knight Rises’ concluding scene could be ambiguous in this manner, since he re-uses one trick he established in his previous film. 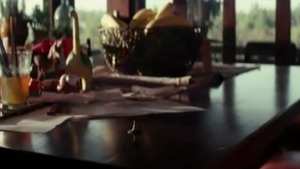 Certainly, then, Nolan at least nods to the possibility that we could view this ending as a fantasy of Alfred’s. And yet, other than this stylistic echo, it surely makes no narrative sense to view the ending in this way. This is for the simple reason that the film has expended considerable effort in its last few minutes establishing that Bruce was not piloting ‘The Bat’ when it flew the nuclear bomb away from Gotham: a scene with Fox (Morgan Freeman) and some mechanics lets us know that, contrary to what we had assumed, the vehicle’s autopilot had been repaired; Commissioner Gordon (Gary Oldman) receives information leading him to discover a newly-repaired Bat-signal; a brief exchange between the executors of Bruce’s will tells us that the necklace Selina previously stole (and Bruce subsequently recovered) is now missing from the Wayne estate’s manifest; and we see Blake (Joseph Gordon Levitt) following instructions that take him to the Bat Cave. All of these things strongly suggest precisely what the Florence scene apparently confirms: that Bruce survived, laid these paper trails for those close to him, and retired into anonymity with Selina. Given this hard narrative data, the comparatively slight stylistic provisions laid by Nolan - which flirt with the Inception-like idea that the final scene is a fantasy - seem rather opportunistic. They appear simply to be a sort of tantalizing bait for a certain kind of viewer (such as Kermode, apparently) - one who will leap upon the smallest chance to ‘save’ a supposedly too-happy ending by claiming that it is potentially ironic, or ambiguous, or ‘subversive’ (a critical tendency I have discussed in some depth in this article). Whereas in Inception such a final act of potential misdirection at least makes some sense in terms of the plot that has preceded it (even if we still might want to accuse it of being somewhat cheap, as I will do shortly), The Dark Knight Rises has established no such precedent: most of what follows the bomb blast creates the suggestion that Bruce has survived, and Alfred’s POV in the café seals it. If we still want to think that the shot of Bruce and Selina could be a fantasy, then this can only be either because of a coy use of style, or because this film was directed by Christopher Nolan, the man who made Inception. Neither of these reasons is convincing, since both require we overlook key pieces of narrative information. Furthermore, unlike in Inception, if this POV shot in The Dark Knight Rises were a fantasy, then this would constitute a sudden introduction - in the final seconds - of an entirely new set of rules about the reliability of visual information in this series of films. It would be the first time in the trilogy that we have been misled by an image that is in fact imagined - indeed, it would be the first time we have seen through a character’s mind’s eye at all, minus the motivation of memory, ‘fear gas’, or a pain-induced hallucination in a pit-of-despair prison. Thus, to argue that the ending is ambiguous in this sense is also to indict it as either incoherent, lazily opportunistic, or both. So much, then, for the proposition that the ending we have simply is ambiguous. What, though, of the suggestion that it isn’t, but it should have been? This reference to the amorphous critical punching bag of ‘the happy ending’ demonstrates unambiguously what is at stake in this desire for ambiguity. As I have said, this harks back to a very familiar argument, which stems from all kinds of deep-seated aesthetic assumptions about the superiority of narrative ‘openness’ over ‘closure’, the belief that leaving viewers to ‘make up their own minds’ about an ending is an innately liberating or positive thing to do, etc (I have discussed this tendency here). I don’t disagree that ambiguity can be a worthwhile feeling to attempt to create at the end of a film. However, the point I want to make is that ‘ambiguity’ is not a fixed commodity which an ending simply possesses or doesn’t - there is more than one way to achieve it, and I would argue that some are more justifiable than others. The mention above of the “Inception top” sums up nicely why I believe that an ending to The Dark Knight Rises in which - having been shown Alfred looking up - we don’t see Bruce and Selina, would have been so aesthetically bankrupt. To help make this point, I would like to borrow an example from V. F. Perkins’ marvellous book Film as Film (1972) - an extended argument for coherence, credibility, and earned significance to be the standards by which films are evaluated. Perkins gives examples of two different kinds of ‘ambiguity’ that a film can create: the kind of ambiguity achieved by Otto Preminger’s Anatomy of a Murder, and the kind offered by Michelangelo Antonioni’s La Notte. A brief recap of these films’ plots will help us understand Perkins’ critique of their endings, and how they relate to both Inception and The Dark Knight Rises. 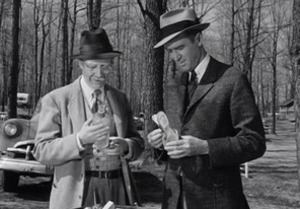 Anatomy of a Murder tells the story of Paul Biegler (Jimmy Stewart) and Parnell McCarthy (Arthur O’Connell), small-town lawyers trying to acquit Frederick Manion (Ben Gazzara) of a murder charge by using a defence of ‘temporary insanity’. We are kept in the dark throughout the film as to whether this chosen defence actually reflects the true circumstances of the murder - some evidence supports it, some casts doubt upon it. What matters to Preminger is not the guilt or innocence of this man, but rather the processes involved in arriving at a legal verdict of ‘guilty’ or ‘innocent’. The final scene of the film is in keeping with this. Biegler and Parnell drive out to Manion’s trailer-park home to collect their fee; what they find instead is an absent lot and a good-natured note that makes clear Manion has absconded with no intention of paying them. They nonetheless take the news well, and begin to make plans for their next case. La Notte concerns the marital breakdown of an upper-middle class Italian couple, Giovanni (Marcello Mastroianni) and Lidia (Jeanne Moreau). As the pair pass through various scenes of Milan city life - from street-fights to bourgeois parties - the cracks in their relationship become ever-clearer: they fight, disagree in their interpretations of the things going on around them; Giovanni makes a pass at another woman. By the end of the film, Lidia has told Giovanni that she no longer loves him and that their marriage is over. In the final scene, on a private golf course at dawn, the couple read together a letter Giovanni wrote Lidia when they were first falling in love. Giovanni embraces his wife, who, after initially resisting, relents, and the two begin to make love. The camera tracks away from the couple and the film ends. “Anatomy of a Murder could run for another three hours after the end titles, cover another three years in the life of its hero, and we should still be no nearer the truth of the case. In La Notte the ‘real ending’ is knowable, but has been withheld. The picture would need to cover at most another two or three hours in its protagonists’ lives in order to resolve the ambiguities of its last sequence. In Preminger’s movie the story ends with a major issue unresolved. In Antonioni’s the story is abandoned when it has served the director’s purpose." That is, according to the rules it establishes concerning how its narrative is told - which include granting us access primarily to Biegler’s life rather than Manion’s - Anatomy of a Murder arrives at a final ambiguity that is unresolvable; La Notte, on the other hand, simply chooses not to resolve - instead, Antonioni overtly denies us an answer that is eminently knowable. For Perkins, the distinction is thus between a film which creates ambiguity organically, without visible strain, and one which becomes ambiguous only via the filmmaker effectively asserting himself - stepping in and ruling that we be told no more. I hope it is clear how this applies to Inception, and - by extension - to an imagined Dark Knight Rises ending in which we see Alfred smile, but not what he sees. Of course, the whole point of Inception’s ending is to remain ambiguous (let’s ignore here whether the top begins to wobble in the film’s final seconds: even if it does, the fact that we aren’t shown it falling conveys, definitively, that the question is intended to linger). This is why we cut-to-black, but also why Cobb doesn’t wait around to watch the top: experiencing the happiness of finally making it back to his children, the suggestion is that he no longer cares if he is awake or dreaming - he wants to remain in this version of reality, however real or imagined it may be. Yet, while ending in an ambiguous fashion therefore seems to echo the theme of this ending, the way that ambiguity is achieved in fact does not. Cutting to black before we have the chance to tell whether the top falls does not create the sense that the answer to this question doesn’t matter: it creates the sense that it matters a great deal, but that we will simply never know it. Nor, of course, does this strategy suggest that the answer is unknowable (the other possible way to reflect a central theme of the film), since we are focused in the final seconds on something which would definitively answer the question, if only we were permitted to watch it for a few seconds more. To a far greater extent than La Notte, then, this ending thus achieves its ambiguity through a tricksy, coy intrusion on the part of the filmmaker, not through a pre-prepared, necessary ambiguity. 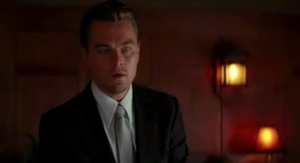 Rather than leaving us in a provocative state of unresolvable unknowing that chimes with the film’s established narrative strategies (as does Anatomy of a Murder), Inception’s ending makes possible a quite justifiable response of simply: “Oh, okay, so in that case just tell me…” This is ambiguity being asserted and unimaginatively imposed, not earned. And this, finally, is surely the crux of the matter. 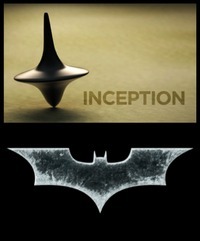 Nolan’s Batman trilogy has had the good fortune to be generally received by audiences and critics as a 'serious' blockbuster - wobbling, like Inception’s spinning top - between the two designations. Yet the widespread spate of reviews which yearn for the ending to be transformed in the manner described suggests that what critics truly wanted, deep down, was for the film to finally fall on the side of the ‘serious’. The similarly-regarded Inception did just that through its final ambiguity, and the longed-for ending to The Dark Knight Rises, in which we cut to black on Alfred’s smile, would have done the same. As I have tried to explain, though, not all ambiguities are equally valuable, and we should not let knee-jerk reactions against the imagined categories marked ‘closure’ or ‘happy ending’ convince us that they are. Has an ambiguity been earned, or is it simply pulled cheaply out of the hat to ensure that we view an ending as ‘serious'? These are the kinds of questions we must ask ourselves if we wish to avoid being undiscerning worshipers of the abstract category ‘ambiguity’. To be clear: I am not arguing that a satisfying version of the film couldn't have been made in which Bruce died - or, indeed, one in which, after a great deal more preparation, we were left unsure. I am also not saying that the ending we have is in some sense perfect - it is merely more fitting than the one fantasised about by many critics. We can certainly criticise the film, and even its ending, on a number of grounds; but I submit that its refusal to dishonestly pull unmotivated ambiguity from nowhere in its final seconds should not be one of them. This article was published on August 19, 2012.